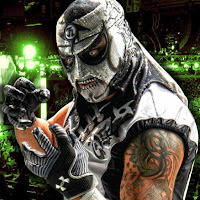 PW Insider reports that neither Penta or Fenix are headed to WWE. Sources have told them that due to the deals they have with Lucha Underground they are still under contract with the El Rey Network until 2020. That is quite a wait. It was also noted that even if Lucha Underground doesn’t get picked up for a 5th season that Penta and Fenix both have no-compete clauses in their contracts that would prohibit them from going right to WWE or NXT as well. It was also reported that during a recent event in Mexico City with Impact Wrestling, Konnan assisted the brothers in negotiating a new deal with Impact Wrestling for more dates next year. The team has committed to a “series of dates for Major League Wrestling in 2019” as well. So they might not be appearing in WWE anytime soon but there will still be no shortage of Pentagon Jr and Fenix around the pro wrestling world. Not only will they likely continue to appear for 3 televised pro wrestling companies, but they will also be appearing for CMLL and AAA outside of the USA. Of course, once 2020 rolls around, it’s anybody’s guess how hard WWE will try and secure them at that point. After all, they will have had much more additional time to drive up the value of their names.